We also encourage new GCMT families to join our newsletter to learn more about our auditions, workshops and productions. We look forward to seeing you at auditions or in the audience for one of our productions! 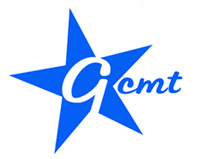 "We would like to thank John and the wonderful GCMT staff for an over the top first time experience in your program. We are grateful to all of you for your dedication, commitment, and remarkable efforts to provide an amazing opportunity for young people from all around the Bay Area." Read more.